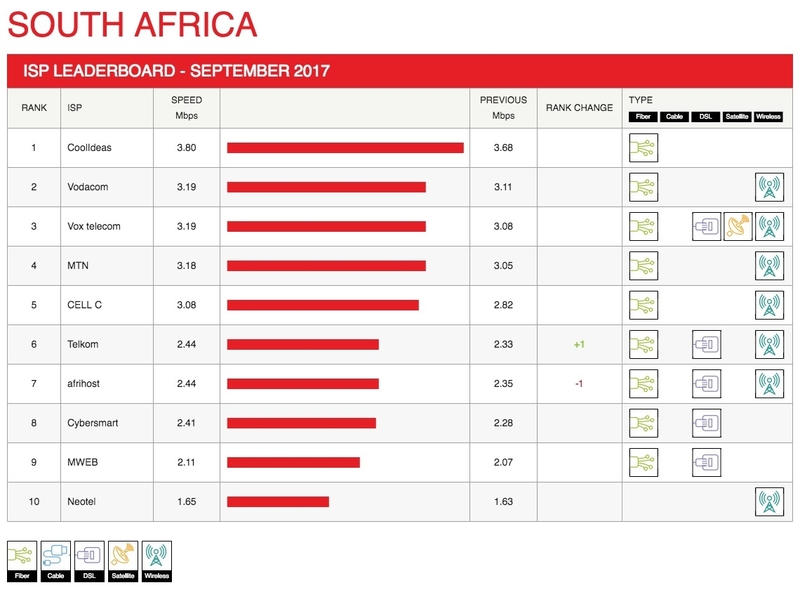 Netflix has unveiled its ISP speed index for the month of September. South African ISPs show an average speed of 2.49 mbps with the high speed being 3.8 mbps. The United States shows an average speed of 3.74 mbps with a high speed of 3.99 mbps, while the United Kingdom has an average speed of 3.64 mbps and a high speed of 3.87 mbps. The Netflix ISP Speed Index lists the average prime time bitrate for Netflix content streamed to Netflix members during a particular month. For ‘Prime Time’, the company calculates the average bitrate of Netflix content in megabits per second (Mbps) streamed by Netflix members per ISP. They measure the speed via all available end user devices. Netflix states that streaming via cellular networks is exempted from the measurements. The speed indicated in the Netflix ISP Speed Index is not a measure of the maximum throughput or the maximum capacity of an ISP.